Mine family always enjoys entertaining family and friends at our home. But, when we travel to others for a backyard BBQ there one special recipe that I always turn to. Hi, I’m Lane McConnell, the Market Lady and today I’m at the West Plains Farmers Market and today I’m making a Triple Pepper Dip that is sure to be a favorite with friends. I’ve already done my shopping at market, so let’s get cooking. Combine all ingredients in a large bowl and stir well. Cover and refrigerate. 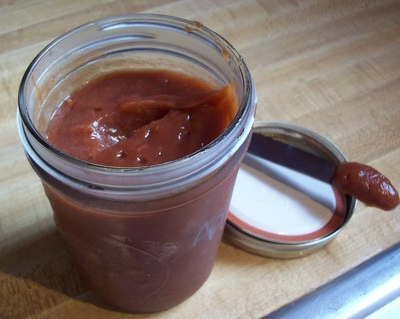 I remember watching my grandmother make homemade apple butter in her farm kitchen. It would take all day, but it was well worth the work! She used her Crock Pot to slow cook the mixture, which she said made the taste even better. She and I would make a trip to a market or a local orchard to pick up our apples and pay a visit to a couple of her lady friends, which she would always have extra apples for. Local apples will start showing up at the farmers markets and roadside stands soon…so be ready! This is a perfect recipes for those of you wanting to try your hands at making your own apple butter this season. In a slow cooker place apples. In a bowl mix the sugar, cinnamon, cloves and salt. Pour the mixture over the apples in the slow cooker and mix well. Cover and cook the mixture on high for 1 hour. Then, reduce the heat to low and cook for 10 hours, stirring about every 2 hours. Uncover the slow cooker and continue to cook for one more hour and whisk the mixture well. Spoon mixture into canning jars or freeze. Enjoy all season long! 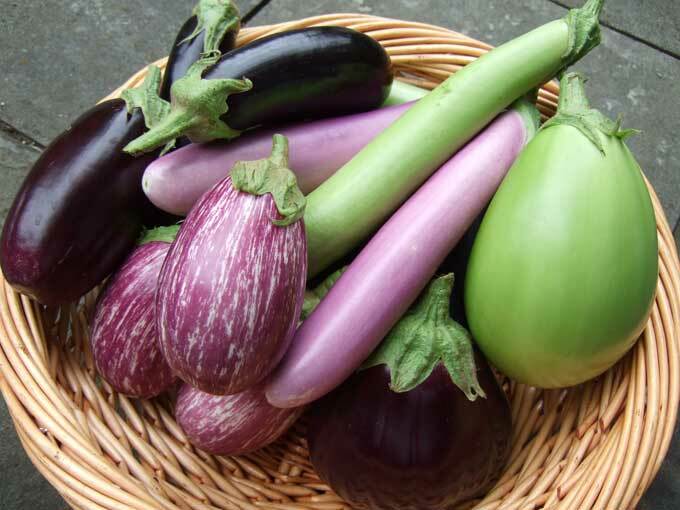 Eggplant is one specialty crop that gets overlooked at the market. Most consumers know one way to cook these delicious produce- deep fried. But, there are many other avenues to travel down when searching for eggplant recipes. Before you run out to your local market to purchase eggplant, there are a few tips I want to offer. Eggplant Season: Mid-July through September. Growing: Eggplant lives off hot weather and sun, yum yum! Expectations: Pick ‘em with firm, shiny skins and resilient flesh for freshness. Smaller, younger eggplants like you find at the market have thinner, edible skins, & smaller seeds, unlike the big purple-black ones, which have to be prepped to cut their bitterness, concentrated around their larger seeds. Nutrition: Eggplant is high in fiber and low in calories. It has a fair amount of potassium, anti-oxidants, and low amounts of a variety of other nutrients. Storage: Keeps a week in the fridge if in an open plastic bag – it needs some air, but the bag will keep it from drying out, too. Why buy it local: Variety! There are wide array of colors and lengths of eggplant at the farmers market. Be sure and ask your farmer about the varieties they offer. – If your eggplant is the large classic kind, you should salt it to leech out the alkaloids that cause bitterness. Cut into ½ inch slices or cubes, and sprinkle with salt all over. Let sit about an hour, then rinse well and squeeze to remove extra water. This is not needed for little eggplant varieties, which are much lower in these unpleasant compounds. – Salting also helps prevent excess grease absorption during cooking, by compressing the little pockets of moisture which also pull in the fats. – With the big kind, you may also want to peel it if it seems tough. – Roasted (My favorite): For whole little ones, pierce a few times with tip of a knife to vent steam, & place on tray in 350 oven for around 30 minutes, until very soft. For big ones, cut in half, salt as above, & place cut-side down on oiled baking sheet & bake longer. Or grill ‘em- so worth the smokey flavor. – Stir-fried: The little ones work best. Slice & add to a heated oiled skillet. Stir frequently over high heat until well browned (try mixing with quartered mushrooms & splash of soy sauce). – Fried-fried: Cut in ½ inch thick slices, & salt & squeeze your eggplant well for this one. Heat half an inch of oil in a skillet until very hot (but not yet smoking), and gently slide in eggplant. Don’t crowd the pan, or they’ll be soggy. Turn a few times until well browned and tender. Warm oil in skillet and cook onion until soft and lightly browned. Stir in garlic add eggplant pulp. Simmer for 10-15 minutes. Season to taste with salt, pepper, lemon juice, cumin and clinatro. Perfect served with pita chips. I’ve got the perfect take-along dip for your next backyard BBQ. 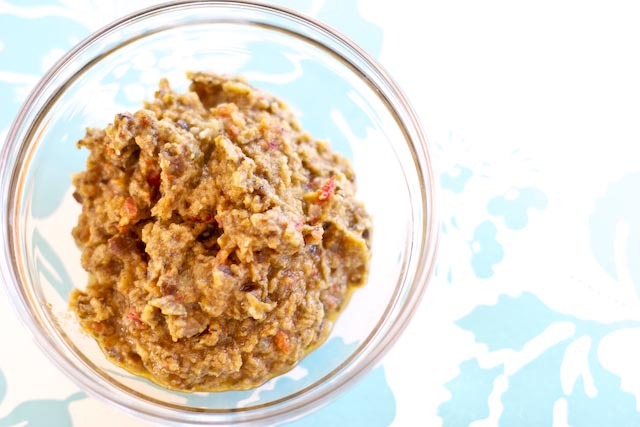 With a little experimentation in my kitchen I stumbled unto this simple, yet tasty pepper dip. 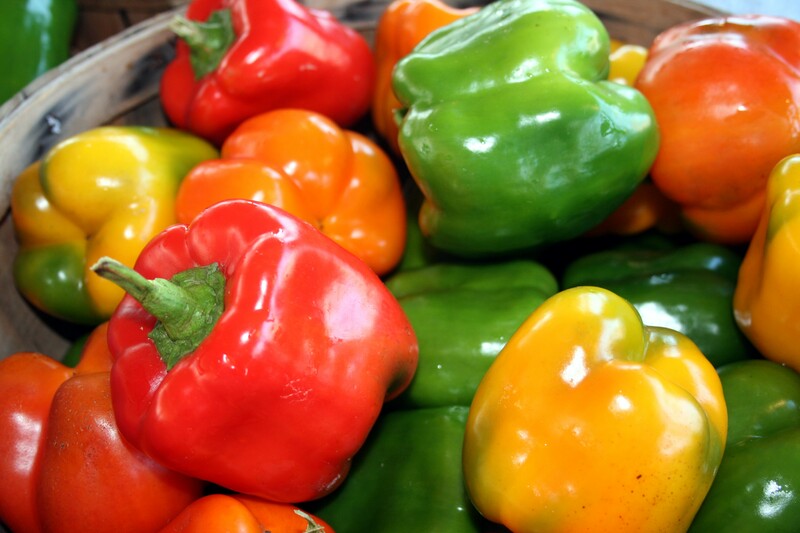 This is a perfect recipe for the time of season at the farmers market, because markets are popping with brightly colored peppers. Don’t be afraid to mix in some purple peppers in this dip- you won’t be sorry. Wondering what to do with all those jalapeno peppers from the market or your backyard garden? Stock up for Christmastime. One special homemade gift my mother and I also enjoy making together is Jalapeno Jelly. We always have plenty of Jalapenos from the garden and it seems like we always have to find something to do with them. You can only make so many Jalapeno Poppers. Making jelly isn’t as difficult as most believe- it’s actually quite simple. Just be sure and wear gloves when preparing the peppers so your hands aren’t burning for a week. I’ve made that mistake before – TRUST ME – Wear the Gloves. This jelly makes a perfect holiday gift for neighbors and friends. Serve this jelly with a cream cheese topped cracker for your holiday gatherings! Wash peppers; drain. Remove stems and seeds. Puree peppers and 1 c. vinegar then add mixture to a large pot. Add the remaining vinegar, sugar and bring to a boil and boil for 10 minutes. Stir constantly. Stir in liquid pectin and return to a rolling boil. Boil hard for 1 minute, while continuing to stir. Remove from heat and skim foam if necessary. Stir in a few drops of food coloring of choice. Ladle hot jelly into jars in a boiling water canner. NOTE: When cutting and seeding the peppers, wear rubber gloves to prevent hands from being burned. Don’t know how to can? Don’t worry, I’ve got you covered! Check out the University of Missouri Extension website for info on how to can. Or check out PickYourOwn.org for more recipes and tips on canning and making jelly. Kelsie and I were out in about early this morning traveling to the Cabool Farmers Market and were greeted by the vendors and the community with welcomed arms. Even one of my former high school teachers came out to support us. At Cabool we fixed a cold Strawberry Soup, a Spinach Baby Food and interviewed vendors at the market. We also learned that strawberry season might be a little short this year because of the cold tempertatures and very wet weather, according to Wayne Simpson of Simpsons Family Farm in Mtn. Grove. So, better get to the market or you-pick soon! After wrapping up at Cabool, we headed back towards Springfield to hit the Fair Grove Farmers Market. The weather started looking like rain, which was no suprise. (I’ve been to the Fair Grove Farmers Market four times and every time it has rained.) Deb, the Market Manager even called me yesterday to tell me to leave the rain at home with me. But, when we arrived at Fair Grove the weather teased us back and forth for about an hour with cloudy and cold to sunny and warm. It turned out to be a lovely day and there were plenty of hungry consumers we fed with our market fixin’s. At Fair Grove we started with Sloppy Joe’s that we topped with fresh spinach- one of my son’s favorite meals. Our sandwiches were gone in no time and the kids kept coming back for more and recipes were flying off the table. We ended our market demos with a Grilled Vidalia Onion and Tomato Dip that is perfect served with vegetables or crackers. Great healthy snack for you mom’s out there looking for a healthy snack for the kiddos. Head on over to our Facebook page for photos and don’t forget to “like” our page. Here’s the recipe for the Market-Style Sloppy Joe’s…try it out on your family this week! In a large skillet over medium-high heat, cook beef, breaking apart pieces with a wooden spoon, until lightly browned, 5 to 6 minutes. Season with 1 ½ t salt and ¼ t pepper. Add sweet Vidalia onion and garlic; cook, stirring, until translucent, about 5 minutes. Add pureed tomatoes, sugar, vinegar, tomato paste, cider, Worcestershire, and 1 1/2 cups water. Reduce heat to medium-low; simmer until thickened, about 20 minutes. Add chopped spinach just before serving and divide evenly among the buns. Remember when cooking for your family to include local products from your community farmers market to make your meal complete. 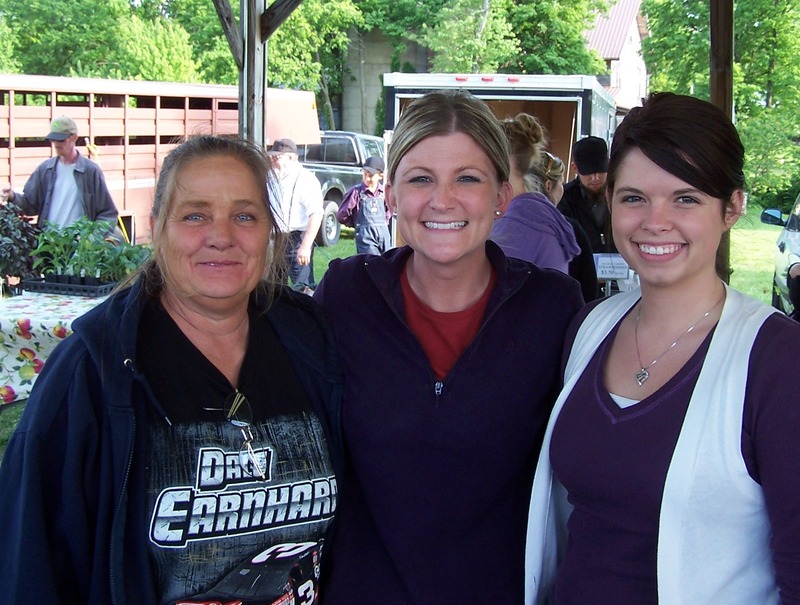 The Market Lady, Lane McConnell, will visit the Fair Grove Farmers Market in Fair Grove, Mo., on Wednesday, May 18. The Market Lady and video crew will begin at 3:30 p.m., with two cooking demonstrations incorporating products from the market. 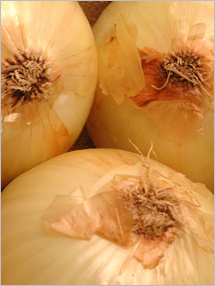 One recipe The Market Lady will be preparing at the market is a Grilled Vidalia Onion & Tomato Dip. Below find the recipe for printing in your publication. Be sure and come out the Fair Grove Farmers Market, located just off Highway 65 in Fair Grove, Mo., from 3:30 p.m.
Cut tomatoes in half lengthwise. Brush with olive oil and sprinkle the cut sides lightly with salt. Peel the onion and cut into 4 or 5 thick lengthwise slices. Brush with olive oil. Grill vegetables on a hot grill until tomatoes are cooked and soften slightly. Turn only once. Grill onion slices until lightly browned on the edges, but still crisp-tender. Remove and cool. Slide tomato skins off. Chop tomatoes and onions and blend together. Wisk together sour cream, cream cheese and mayonnaise. Fold in vegetable mixture along with the basil. Season to taste with hot pepper sauce. May be served immediately or cover and chilled until ready to serve.